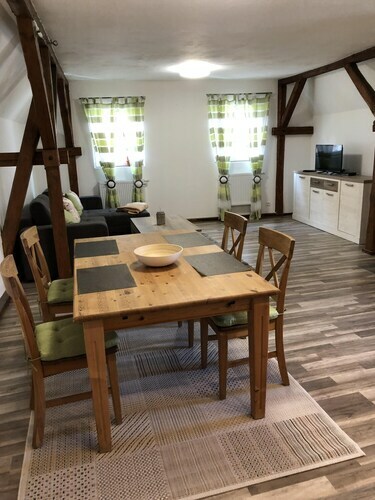 Located in Middle Franconia, this vacation home is 3 mi (4.8 km) from Grosser Brombachsee and within 12 mi (20 km) of Ratibor Castle and Fachwerkhaus Hospet. Pharmacy Museum and Altmühlsee are also within 16 mi (25 km). 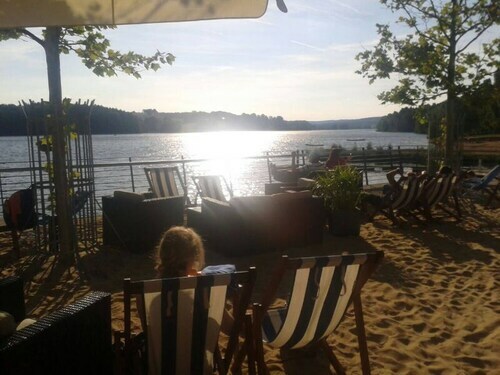 This family-friendly Spalt resort is located on the waterfront, 3.7 mi (6 km) from Grosser Brombachsee, and within 12 mi (20 km) of Fachwerkhaus Hospet and Ratibor Castle. Altmühlsee and Weissenburg Castle are also within 16 mi (25 km). 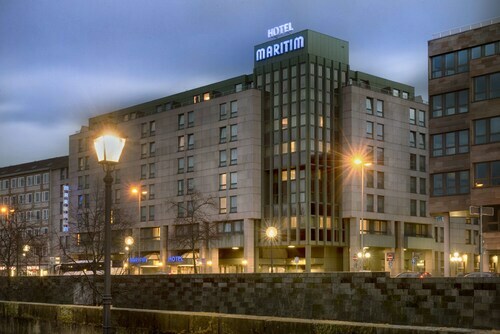 Located in Mitte, this spa hotel is within 1 mi (2 km) of Plarrer Square and Nuremberg Castle. Museum of Communication and Deutsche Bahn Railway Museum are also within 10 minutes. Plarrer U-Bahn is only a 4-minute walk and Nuremberg Steinbühl S-Bahn is 5 minutes. 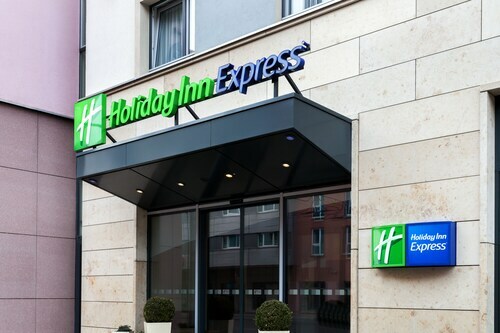 Located in Nürnberger Land, this hotel is within 1 mi (2 km) of Max-Morlock-Stadion and Nuremberg Arena. Nuremberg Zoo and NürnbergMesse are also within 2 mi (3 km). Nuremberg Frankenstadion Station is 8 minutes by foot and Nuremburg Dutzendteich S-Bahn is 20 minutes. How Much is a Hotel Room in Spalt? Hotels in Spalt start at $70 per night. Prices and availability subject to change. Additional terms may apply. Feel like an adventure in Spalt? We advise that you organize accommodations as soon as you know your itinerary, as there is only 1 option on Travelocity within a convenient driving distance of the main center of Spalt. 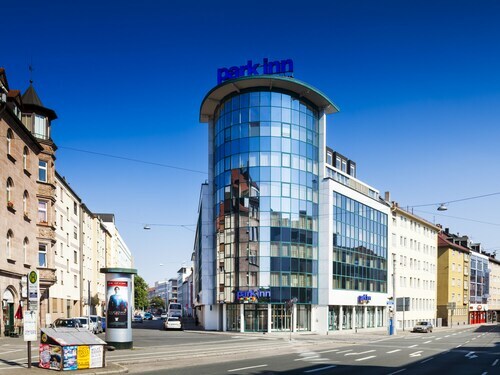 The closest of our hotels is the Sheraton Carlton Hotel Nuernberg, Bavaria, which is 20 miles (32 kilometers) from the heart of downtown Spalt. Or instead, why don't you have a look at the Congress Hotel Mercure Nürnberg an der Messe, located in Bavaria, which is 19 miles (31 kilometers) from the heart of the city. Look into the Hilton Nuremberg as well as the RAMADA Landhotel Nürnberg. The Hilton Nuremberg is located 20 miles (33 kilometers) away from the city center of Spalt. The RAMADA Landhotel Nürnberg, is positioned 19 miles (31 kilometers) away. The Ringhotel Loew's Merkur and the NOVINA HOTEL Südwestpark Nürnberg are other alternative places to base yourself around Spalt. Once you've looked around Spalt, why not tour a little bit more of the area? The Bavaria district is home to plenty of things to look at. Investigate Bavaria's castles and traditional villages and also enjoy the region's forests. Common pastimes in this corner of Germany include snowboarding, skiing and cross-country skiing. 50 miles (79 kilometers) from Spalt, you'll reach Bamberg, where you'll find Bamberg Cathedral and Old Palace. If you'd like to spend a night or two in Bamberg, check out the rooms at the Welcome Hotel Residenzschloss Bamberg and Tandem. Or, you could consider staying in Old Town, 50 miles (80 kilometers) north of Spalt, where you can choose from the Hotel National and Der Krug. When you visit Old Town, make sure you visit the Historical Museum Bamberg and Diocesan Museum. Just because you and your family are on a break, doesn't mean that you can't enjoy your passion for a day watching sports. Discover Frankenstadion 20 miles (32 kilometers) to the northeast of Spalt. Sleep surrounded by the action at the NH Collection Nürnberg City or the Woehrdersee Hotel Mercure Nuernberg City. Nuremberg Airport is a primary gateway for air travel, and can be found 25 miles (37 kilometers) away from Spalt's downtown. Nearby accommodation options include Movenpick Hotel Nuernberg Airport and Hotel Avenue. I prepaid for my stay. I arrived before check-in and was told rooms were. Ring cleaned and my luggage was put into storage. Upon returning to the hotel later that evening, I was told my pre-paid room was given out to another guest. Nothing they could do because at this point in the evening they did not physically have a open room left despite my pre-payment. This hotel offers an excellent location in the historic walled city of Nuremburg; in fact, it sits on a street that ends at the city wall. Comfortable rooms, friendly staff and a hearty breakfast buffet makes for a wonderful city in one of Germany's most beautiful cities. Breakfast could have bigger variety. Staff kind. Close to oldtown, good public transport nearby. I don't even know where to begin with how amazing this hotel is. It was a little strange walking down an alley to get to the door and the entrance space is a little clausterphobic but other than that there is not a single bad thing about this hotel. It's right next to a massive shopping center and is a 10 minute walk from the main train station. Aside from that the rooms are comfortable and have everything you could need. And the staff? I don't even know where to begin. 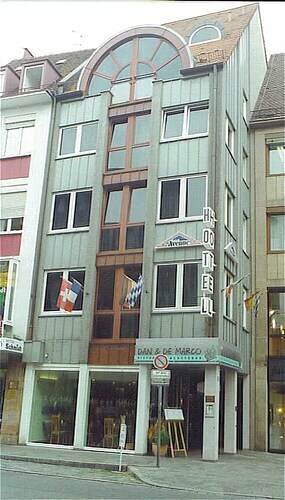 I speak very basic German, but all but one person at the hotel spoke English at a very high, very communicative level. Not to mention they gave me directions when I needed them, and helped in any or every way possible. They offer personal laundering for a price, they have cable and internet, and the breakfast they offer is absolutely astounding. I'm actually a little sad that I have to eventually check out.